This kind of room has a hall with a large dressing room and two rooms perfectly differentiated by the furniture where children and parents will enjoy the charm of this cared kind of room. They are located on the top floor of the building , providing a homely and relaxing feeling because of the shape of its gamrel roof, all while enjoying being in the heart of the city. 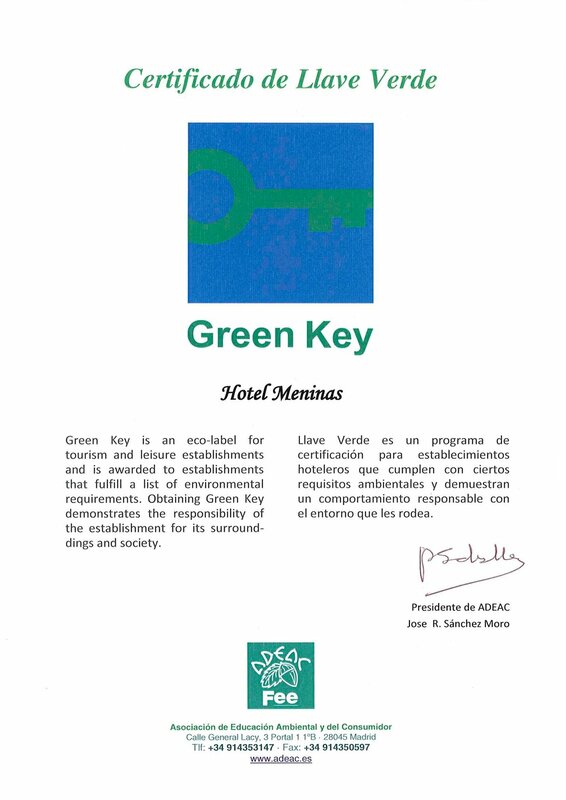 They are equipped with the latest technological advances such as an interactive plasma television, a minibar, a large desk, free ADSL connection, a safe, a telephone and trousers press, it is the the most spacious kind of room in Hotel Meninas, where comfort and design walk hand in hand. The spacious room and family sized bathroom is designed for the use of several people at once, divide into two different zones, it allows the comfortable use of several family members at the same time. A Whirpool, a careful selection of amenities,a hairdryer and a telephone are available to make everyone feel comfortable among us. And if you have excess baggage, they have a third stay where to locate it to avoid the baggage being an obstacle for the enjoyment of this fantastic room.